Details "Nautical Octopus T-Shirt Men"
Adaptable like an octopus? Not with this style! The Nautical Octopus stands out everywhere and adds variety to your wardrobe. 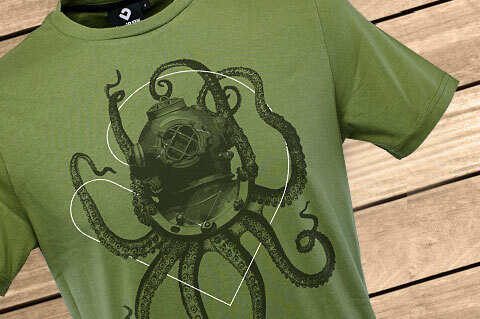 The large octopus frontprint was printed on the kale green fabric with a water-based and environmentally friendly color. The lively look of the subtle Lexi&Bö logo and dark octopus in the diving helmet let it look tip-top on a dark blue demin jeans or light shorts. 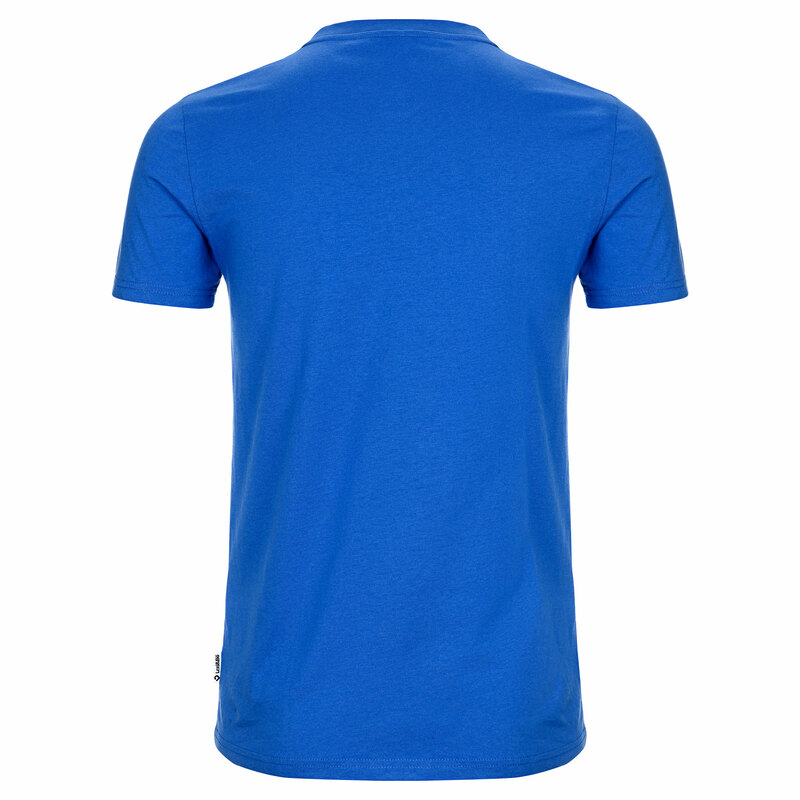 The - up to size L waisted shirt - made of 100% cotton offers great comfort and thanks to its high quality and the ribbed crew neck does not wear out so quickly. 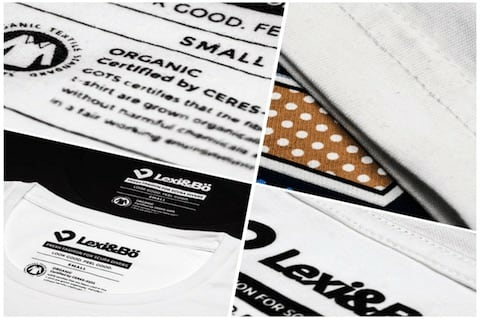 The Lexi&Bö brand label sits as usual on side seams and neck, is super soft and does not pinch you. 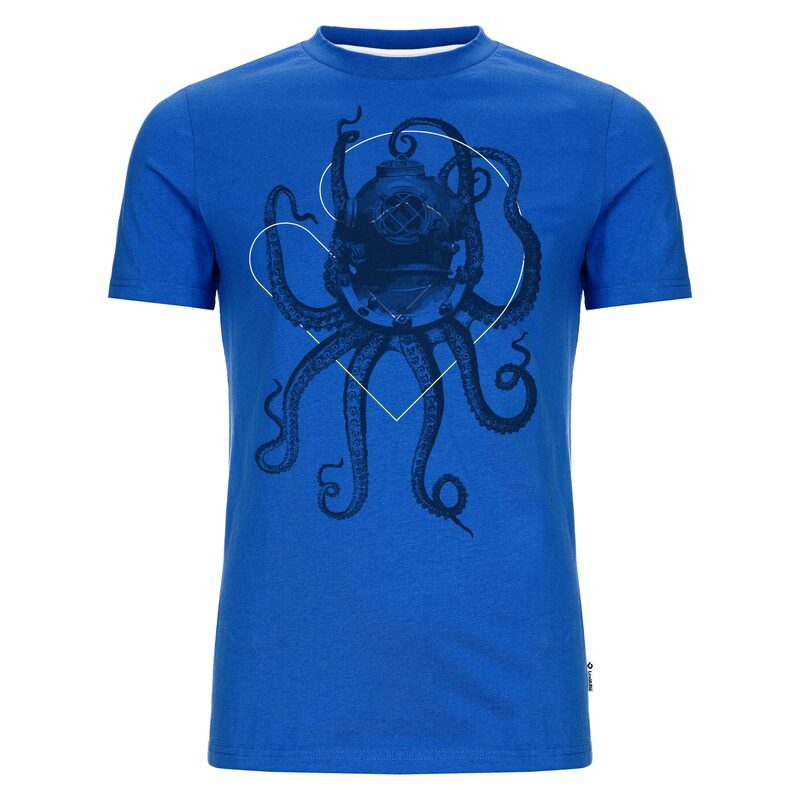 Customer evaluation for "Nautical Octopus T-Shirt Men"
Super Motiv, super Qualität, mein neues LieblingsShirt! Die Größenangaben sind nach einer Nachfrage berichtigt worden. Das bestellte T-Shirt passt. Druck und Stoff sind nach zweimaligem Waschen noch OK. Das Motiv und die Farbe des T-Shirts sind richtig gut!